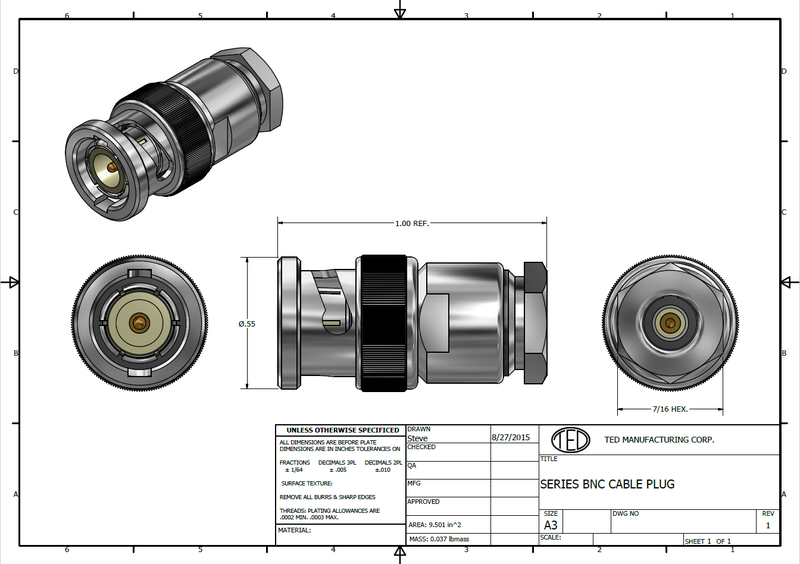 TED Manufacturing BNC coaxial connectors are one of the world’s most popular RF Connectors. Our BNC series connectors are miniature, light-weight and can operate effectively up to 11 GHz. Typical applications for BNC connectors are from DC to 4 GHz and yield low reflection in this frequency range. We offer several termination configurations, including: crimp, clamp, solder and jacket quick twist configurations.